On Sunday 16th August we are opening the farm for guided tours. Tractors and trailers will transport people from the shop (BA9 8HD, between Bruton and Wincanton on the B3081) through the fields to the farm, where there will be a walking tour around the buildings and milking parlour. Meet the animals: cows, sheep, pigs, turkey chicks and geese. See a display of vintage and modern machinery. Food and refreshment will be available, including ice cream and a BBQ. At the shop site, Aga will be doing cookery demonstrations through the day. Sheep shearing demos, wildlife groups and the Tractor Ted bouncy castle will keep all age groups entertained. 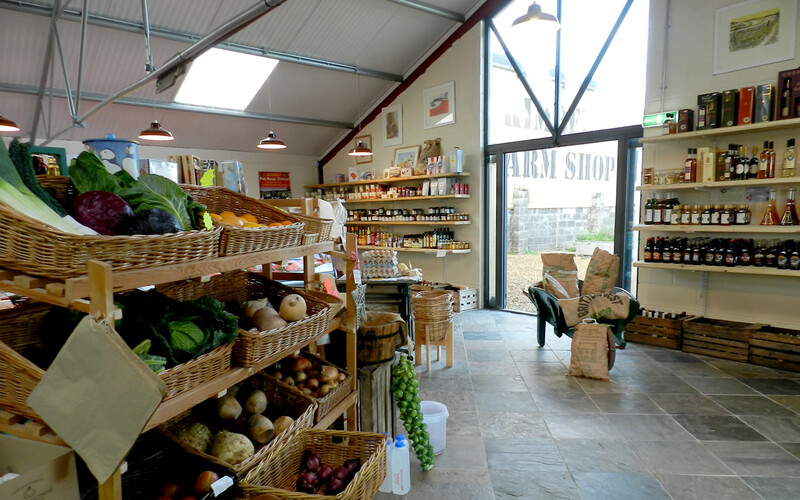 It is 10 months since we moved from the farm and we are delighted that since then business has gone from strength to strength. We have employed more staff and extend the products available regularly. We are currently working on a milk and meat delivery scheme for local towns and villages. If you are interested please look at our new website for products available. Register your interest at and we will contact you when the finer details have been clarified. Just last week we were awarded Gold for our butchery from Taste of the West. 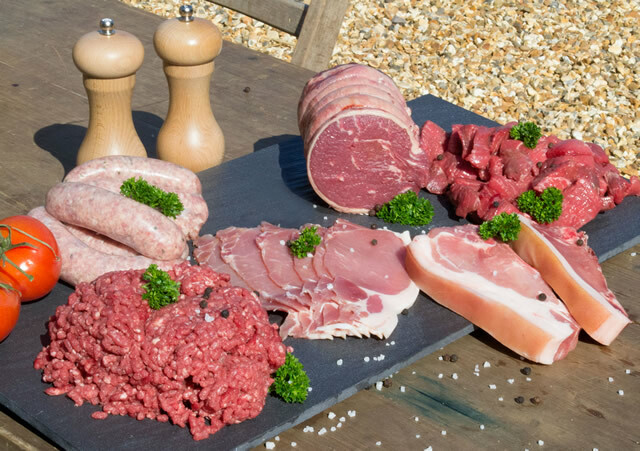 The family members that work on the farm do a fantastic job producing the best quality animals and our butchery staff work hard to create excellent cuts of meat. This award recognises their dedication to quality meat production. Also awarded Gold from Taste of the West was our unpasteurised milk, pork and wild garlic sausages and our pork steaks got Silver. We are trying not to think about Christmas but the Turkeys and Geese are already on the farm. They are growing well – some more sunshine wouldn’t go amiss though! The barns are full of winter forage, having taken two cuts of silage already and the maize is 7 foot tall and beginning to flower. It promises to be a good crop. Calving has started now, and attention to detail in the first weeks is imperative to rear a healthy calf. All our calves are fed with colostrum as soon as they are born (as well as what they have from their mother). Navels must be checked regularly as this can be a point of infection; we use clips as they do on new born babies. In this calving period we expect 120 calves. If you have been to the farm shop lately you would have seen the house martins and swallows. They came back in the spring and have reared two broods. In the evening, when they are busy swooping in and out of their nest feeding their babies, you can lose yourself standing and watching. Also the weather must have been just right for the hares this year; the numbers have exploded on the farm, a joy to see after dwindling numbers. We thank you for your continued support and hope that you will be able to join us on our Open Day.